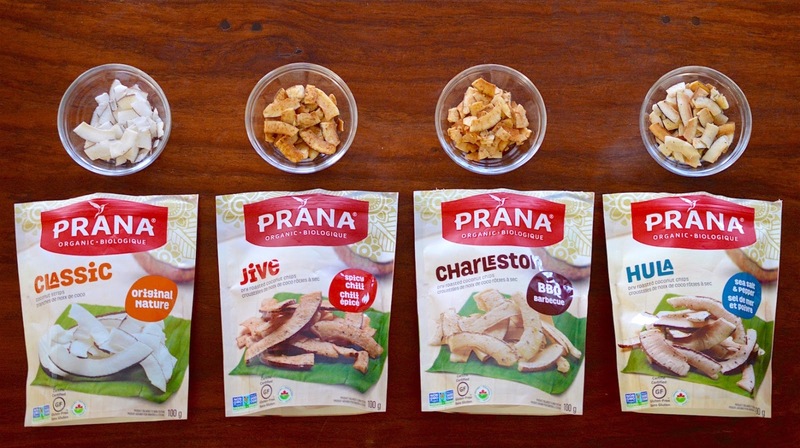 After loving the chia seeds I tried from Prana back in November (link to my Chia Banana Pancake Recipe here) I was really interested in trying these coconut chips to see just how "natural" (a.k.a. leaf-y) they taste. When you bite into these crunchy chips, you get a natural coconut flavour, mixed with the seasonings (if any) and you'll definitely notice that there is coconut oil in them. 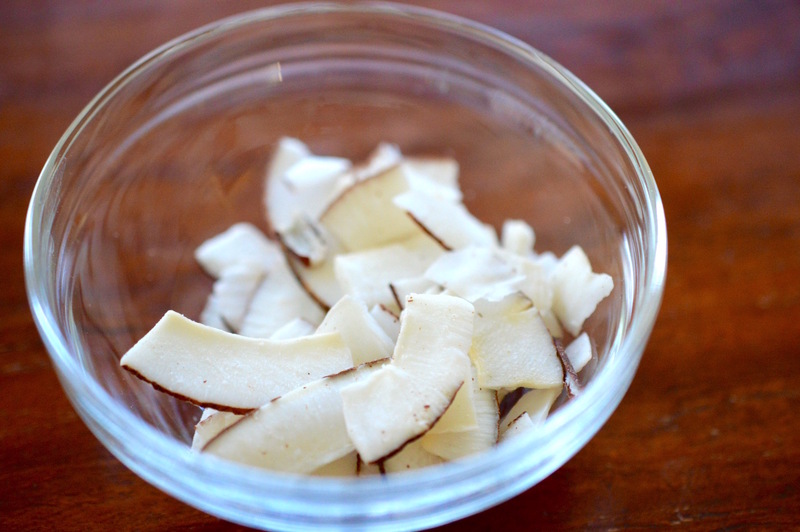 We all love coconut here at home, so each flavour has been a hit. Whether it's as a movie snack (Jive) salad topper (Hula) or smoothie bowl addition, (Classic) these chips are exotic enough to enlighten your taste buds, but not overly oily or seasoned to make you regret it an hour later. Another great feature is that the resealable bag is very lightweight, which means that throwing one into your purse for an afternoon pick-me-up is totally doable. 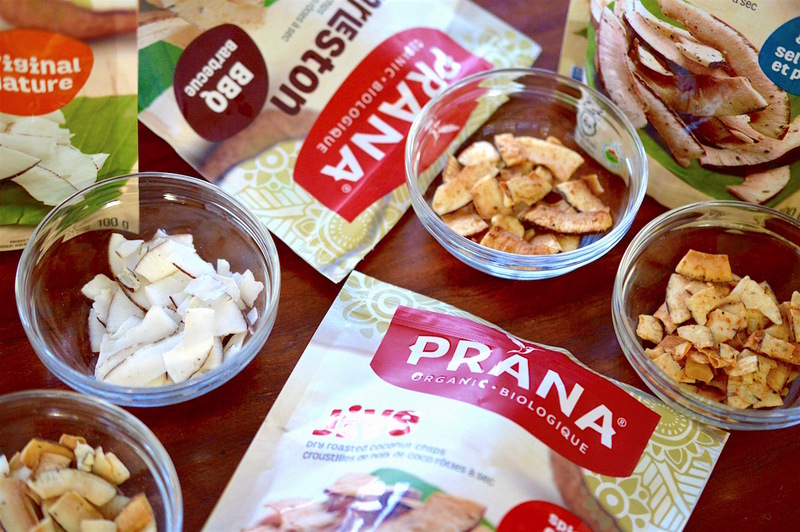 To find a local retailer of Prana products, you can use their store locator linked here. 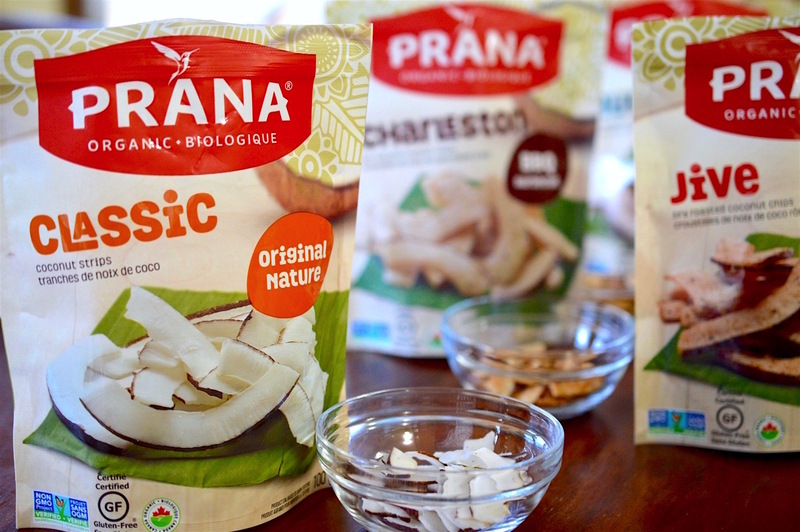 These coconut chips are vegan, organic, gluten-free, kosher and GMO-free. Lots of love for this awesome Canadian brand as I was sent the entire range as a press sample.